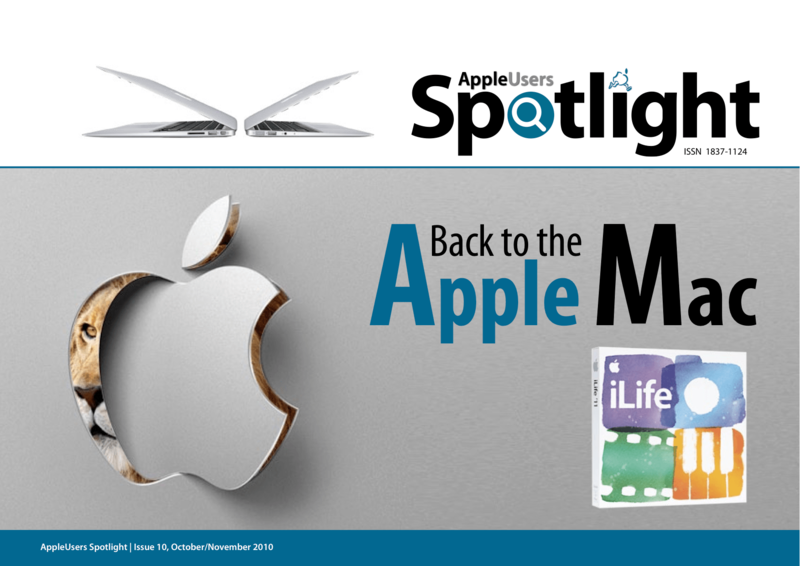 Even larger then our previous issue, with an incredible 88 pages, the October/November 2010 AppleUsers Spotlight is available in PDF format and can be read using Adobe Reader or Preview under Mac OS X, Adobe Reader for Windows and now in iBooks on the iPad, iPhone and iPad touch. What’s included in this issue? iTunes on Sale – Why pay full price for iTunes media, if you can get it cheaper? Exclusive discounts for AppleUser Spotlight Readers from PICA Australia and Stairways Software. ps: Don’t forget to subscribe to the Spotlight-Announce mailing list, for free, so you can find out when the next issue of the AppleUsers Spotlight is released. There will be subscriber-only specials and contests! Have You Thanked Your Volunteers?